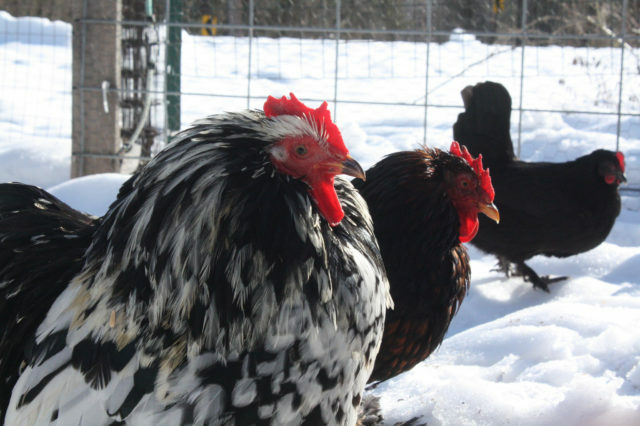 Do NOT Make These Mistakes When Keeping Chickens During The Winter! May 18, 2016 - by Gold Cochin - 2 Comments. Every chicken keeper makes mistakes from time to time, we don`t judge. What we want to do is help our readers be aware about some of those mistakes and perhaps that will prevent them from making them. 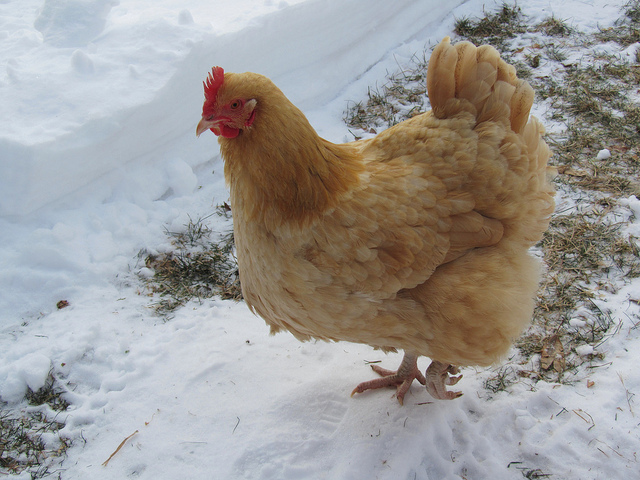 For today`s article we wanted to focus about mistakes that chicken keepers tend to make while keeping their chickens during the winter. Chicken keepers can make these mistakes due to misinformation or as we all sometimes do forget about some of their daily chores concerning the well being of our chickens during the winter. Every Chicken Keeper Needs To Remember To Increase The Water Check-Ups. Chicken Keepers Tend To Rely On Electrical Devices As A Source Of Heat And That Can Cost Them More Than Their Flock And Coop. It Is Good To Close The Chicken Coop Windows In Order Maintain Heat During The Winter Right? NO! Giving More Food To Your Chickens During The Winter In Order To Make Them A Bit Fatter So That They Can Maintain Heat HAS NEVER BEEN A GOOD IDEA! If you forget to check up on the condition of the water your chickens drink during the winter it may lead to your chickens drinking icy water and that can damage them especially if their bodies are warmed up. It is not a big dial to change the water your chickens drink in shorter time intervals do prevent the water from freezing. 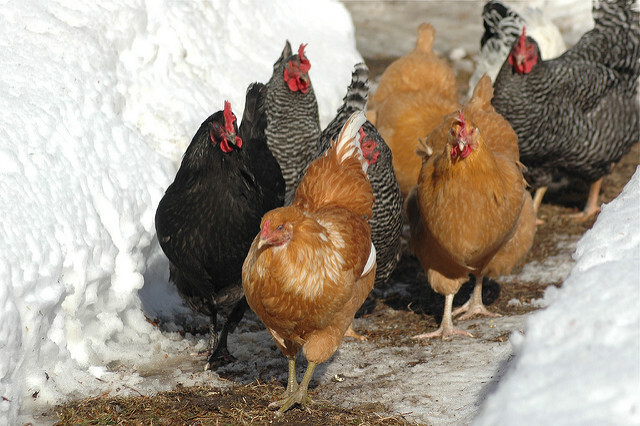 Chicken keepers tend to forget this and that can lead to one of the things no chicken keeper wants for his or her chickens especially during the winter – a cold running in the flock. 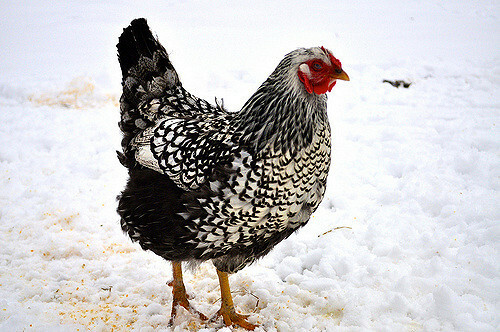 Remember that there are heat sources even for the winter that do not require electricity in order to maintain the right temperature in your coop during the cold winter nights. Using heat lamps and similar devices in the coop can be fire hazardous for your coop and your house even. Also lamps can make the difference in the temperature in and out of the coop bigger and that can cause some health issues for your chickens. The best thing to do is upgrade your coop and add more hay or whatever you use for the bedding. Although it is very important that wind does not get in a lot in the coop in order to keep your chickens warm – VENTILATION IS MORE IMPORTANT. The best thing to do is close only some of the windows in order for the air to circulate in the coop and in that way your chickens will kept warm and moisture won`t build up in the coop. Giving food that contains a lot of fat during the winter in order to make your chickens fatter so they can stay warm is never a good idea for many reasons. Obesity is a growing problem in chickens and overfed and fat chickens are very prone to illnesses and diseases. Adding a small amount of scratch may be good but not anything more than that. Chickens do not get regular exercise during the winter for the obvious reasons and overfeeding them can only make their winters worse. Previous Article How To Raise A Friendly Rooster! Next Article 6 Things Everyone Should Know About Chickens! Thank you for stopping by and giving us a feedback. I hope this article helped you.